THIS is amazing stolen ute that wasn't yarn that will go down a treat with something cold and frothy at Noosaville's Land And Sea Brewery for days to come. 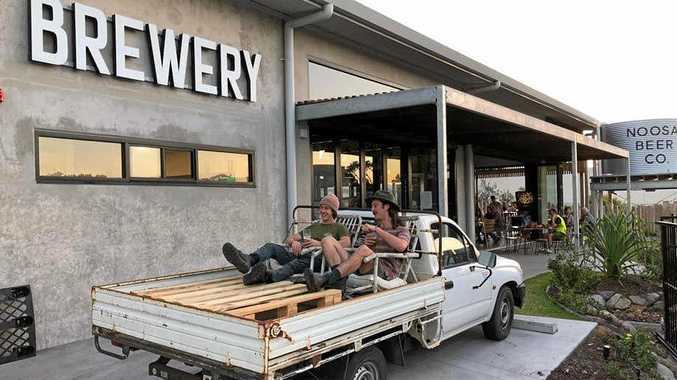 On Friday the Noosa News and Sunshine Coast Daily reported on the how a thief apparently made off with the beer wagon wheels of young brewer Josh Bingham. His early 2000s white Toyota Hilux, two-wheel drive sometime between 11am and 7.30pm Thursday from outside the Land and Sea Brewery in industrial estate. Josh, 27, was distraught saying "I'd do anything to get it back" as his mum Nina launched a Facebook appeal for his workhorse old ute he purchased to pick up kegs with. There was a massive outpouring of sympathy online, but Josh's bad luck turned on its head Friday with local mechanic Ian turned up to tell him they had his ute. Not only that but in an amazing case of mistaken identity, his apprentice mechanic had been given directions to take another white Hilux off the street and service it. "They picked up my car instead, the same key opens and starts my car oddly enough," Josh said. "A couple of my friends had seen it and thought it was my car. Ian the owner came in and said 'I'm terribly sorry we've found your car and also we've given you a free service". Josh said the amount of support he had from the community generated by the news articles was amazing. "People came into the brewery to offer me cars of their to use. It was a pretty weird day but it was awesome," Josh said. "You expect the worst at first and you don't expect something so nice to happen."